The country has already laid the foundation of the structure that will soon be sharing a skyline the tallest mountains in Africa. The ambitious project will see twin glass-facade towers rise above the city, the larger standing at 300 meters tall, far surpassing the continent’s current leader — Johannesburg’s 223-meter Carlton Centre. “The striking new-build property…will be well placed to meet this growing demand in one of Nairobi’s most exciting and colorful areas,” said Patrick Fitzgibbon, senior vice president for development, EMEA, Hilton Worldwide. According to CNN, Kenya’s economy has performed steadily in recent years, with healthy GDP growth of 5.9% in 2016 according to the World Bank. A thriving property market has underpinned this growth, particularly in Nairobi. But there are indications of a slowdown that could affect a luxury development such as Pinnacle. Whether such optimism is justified remains to be seen. 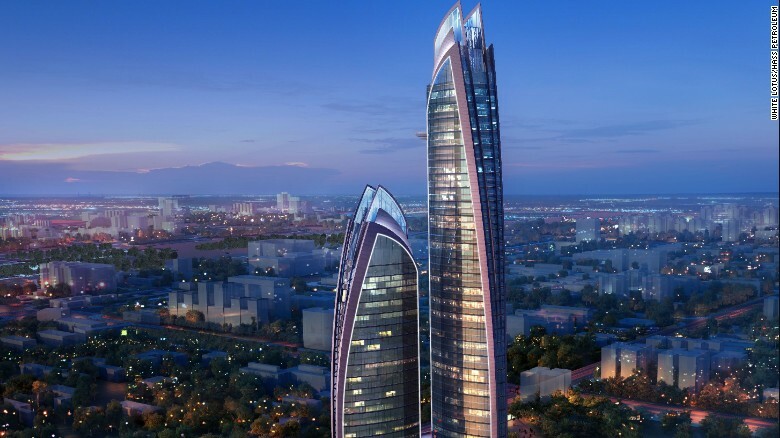 But there can be little doubt that Africa’s tallest tower will raise Nairobi’s profile higher on the world stage.